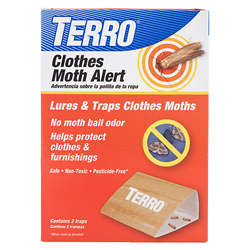 Protect clothes and furnishing with Clothes Moth Alert from TERRO, a leader in DIY pest control products. The new, non-toxic and odorless traps lure and capture adult clothes moths, stopping them before they complete their next reproductive cycle. The presence of clothes moths in your Clothes Moth Alert trap will alert you to the potential of an infestation. Larvae begin feeding the moment they hatch, which is why detecting the presence of clothes moths with the Clothes Moth Alert is so important. Often difficult to detect, clothes moth larvae are a destructive household pest that feed on natural fibers, including cashmere, wool, fur and other animal hair textiles. However, homeowners can now protect their clothes and belongings with Clothes Moth Alert from TERRO®, a leader in DIY pest control products. 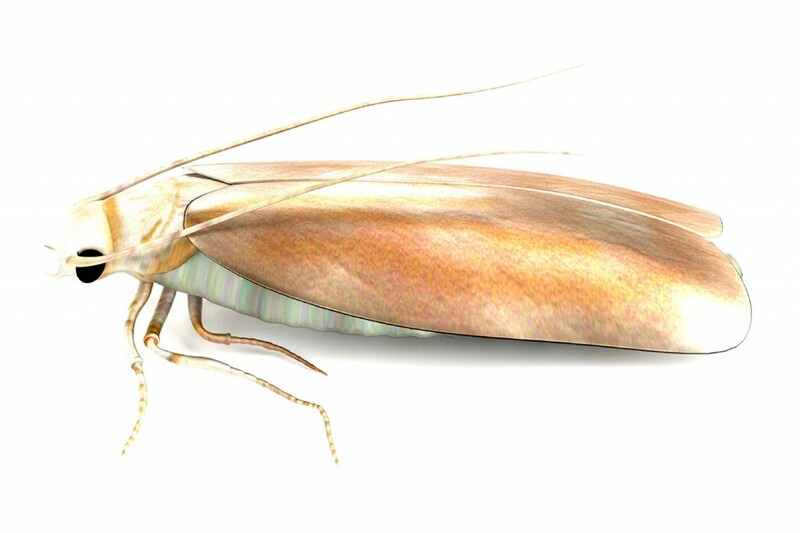 This new, pesticide-free and odorless trap lures and captures adult clothes moths, terminating their reproductive cycle. Trapped moths are often the first sign of a clothes moth infestation. The TERRO Clothes Moth Alert uses a powerful pheromone lure to draw moths from their dark hideaways and into a sticky glue trap. Trapped clothes moths are a good indication that additional measures are needed to protect exposed clothes and fabrics. Dry cleaning, laundering, and freezing items in a standard freezer for a week are effective methods for killing all stages of clothes moths, including the larvae, which cause the actual damage to garments. Moth-infested rugs and furniture should be steam-cleaned or treated by a pest control professional. The Clothes Moth Alert is safe and easy-to-use. Simply drop the pheromone lure on the sticky trap surface and place at eye level in closets and rooms to be protected. Use one or two traps per room and replace after 12 weeks. Traps may also be placed underneath dressers, inside drawers or in storage areas that contain fabrics targeted by clothes moths. The Clothes Moth Alert can also be hung from a clothes hanger or string. Each package of TERRO Cloth Moth Alert contains two glue traps and two individually-wrapped pheromone lures. 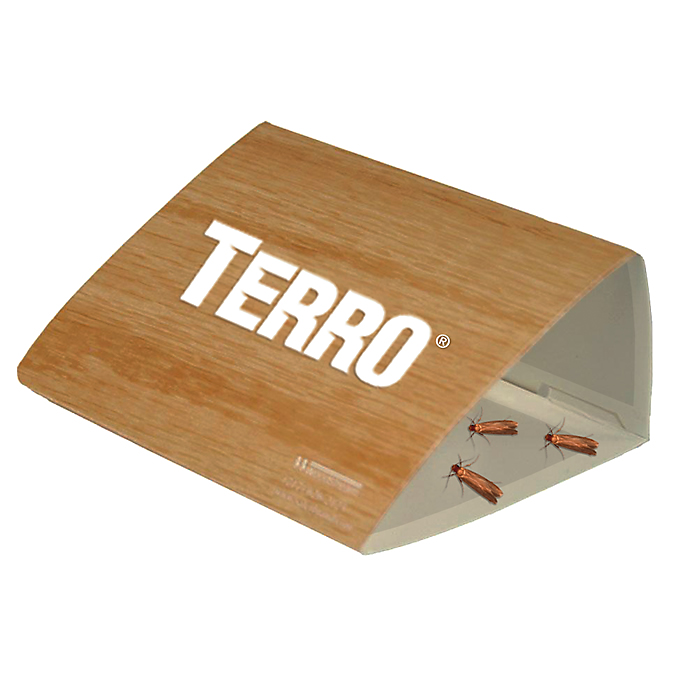 The product may be purchased at leading retailers or online at http://www.terro.com. For more information on the extensive line of TERRO pest control products, visit http://www.terro.com/solution-finder. TERRO® is an industry leader in ant and pest control and has been a trusted brand for more than 100 years. Based in Lititz, PA, the company offers proven ant and pest control products including liquid ant baits, aerosol sprays, perimeter granules, glue traps and ant dust products. TERRO products are widely distributed at all leading hardware, home center, mass merchant, food and drug, farm and fleet, and independent garden center retailers nationwide. For more information on TERRO products, call 1-800-800-1819 or visit TERRO on Facebook. TERRO® Clothes Moth Alert uses a powerful pheromone to draw clothes moths from their hiding places and into the glue trap.The easy-to-use pest trap kills adult clothes moths without leaving a mothball smell on your fabric products Clothes moth larvae will destroy anything made from natural animal fibers, including sweaters, rugs and fur. Clothes moths larvae seem to prefer to eat fibers that are stacked on top of each other.